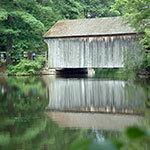 Boutique and luxury lodgings, hotels, and resorts in Massachusetts are as varied and fascinating as the state itself is. 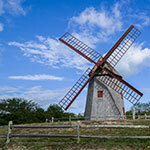 How do you choose a luxury lodging for a romantic weekend or a family vacation? It is a treat just to browse the descriptions. On Cape Cod, for instance, you will be near the beach and you may choose a comfortable Queen Anne Victorian inn with stained glass windows, rich woodwork, and antique furniture. Other luxury inns near the Massachusetts waterfront treat your family and kids to easy access to whale watch tours, water sports, and dune walks. 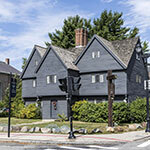 Luxury lodgings in Massachusetts cities like Boston and Worcester could be chic, European-style boutique hotels tucked into handsome, historic neighborhoods, and offering plenty of indoor pleasures like gourmet dining, spa treatments, Jacuzzis or hot tubs, and easy access to museums, theater, live music and fun shopping. 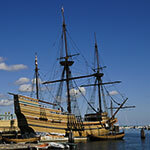 All the lodgings on the Massachusetts and Boston luxury hotels pages are four star hotels or five star hotels, based on guidelines by AAA or the Forbes Travel Guide. These are awarded to a handful of choice lodgings and they assure guests that the services and amenities will be the finest to be found. 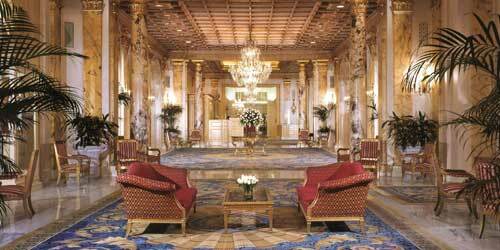 The Fairmont Copley Plaza Hotel has been a symbol of Boston's rich history and elegance since its gala opening in 1912. Centrally located in Boston's historic Back Bay, The Fairmont Copley Plaza sits steps away from the Boston Public Library, historic Beacon Hill, and the Freedom Trail and only a few blocks from the Copley Place Mall, the Shops at the Prudential and the boutiques of Newbury Street. Each of the luxury 383 guestrooms and suites are appointed with lavish décor. 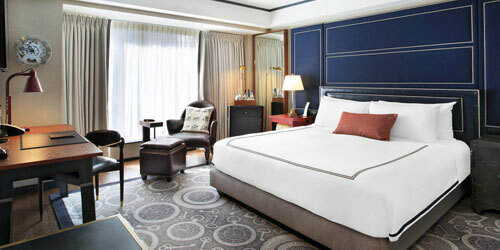 The hotel offers Fairmont Gold, an exclusive lifestyle hotel experience. Enjoy the comfort of a private lounge reminiscent of a Back Bay mansion. Sip a hand crafted cocktail, sample a farm to table American menu at OAK Long Bar + Kitchen our new, American brasserie style restaurant. 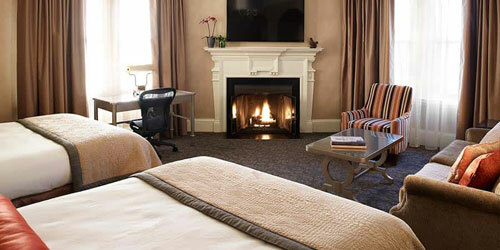 This luxury Boston lodging is awash in comfort and amenities. Your room or suite offers a pillow top bed with 350 thread count sheets, goose-down comforters, and hypo-allergenic feather pillows. The entertainment menu features LCD TV, CD/DVD player and high speed internet access. Best of all might be the Bliss Spa, a restorative urban oasis with a signature menu of services from massages, body treatments, and facials to beautifying services, waxing, manicures/pedicures. Sip and relax in the W Lounge where colorful cocktails accompany savory small plates. Gourmet cuisine can be delivered right to your room while the fully-equipped FIT gym and a complete out-of-the-office business center keep you energized and connected. Always on call is the Whatever/Whenever® service for.. whatever, whenever. Whether you're traveling for business or pleasure, a stay at the Westin Boston Waterfront will leave your relaxed and refreshed. Every room features a Westin Heavenly Bed®, and you'll always get plenty of sunshine and great views of the city or the harbor. Four great dining and drinking establishments tempt you to indulge. Sauciety is a unique experience. Our chefs prepare grilled or pan-roasted meats and fish, and you personalize the dish with a variety of sauces, chutneys, and dips. Enjoy a Guinness and fish and chips at MJ O'Connors, an Irish pub. Relish a classic cocktail at Birch Bar or City Bar Boston. Lounge by our indoor pool, or work out at our fitness center. Laugh away your cares at Laugh Boston, our comedy club. Taj Boston occupies the city’s most celebrated location at Arlington and Newbury streets overlooking the Public Garden, America’s first botanical garden. The landmark hotel is within walking distance of historic sites, theatre and financial districts, astonishing shopping, as well as fashionable boutiques and galleries and is just four miles from Boston's Logan International Airport. Popular activities include warm weather cruising in iconic Swan Boats along the Public Garden’s lushly landscaped lagoon and winter ice skating on Frog Pond in adjacent Boston Common. 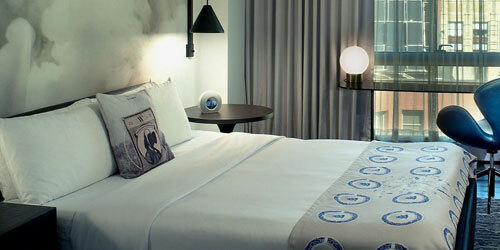 Boston’s pleasure principle in a boutique hotel! Pleasure is the point of luxury. Pamper the senses and the heart opens during a stay at XV Beacon. Choose from classic rooms, studio rooms and suites and their enhancements - working gas fireplaces, flat screen TV’s, 24 hour in-room dining, complimentary wireless internet access, surround sound satellite radio. Or perhaps a four-poster canopy bed, marble bathroom features, stand-in rainforest showers and Frette bathrobes. And we’re dog friendly. This is about pleasure after all. After a day/night in one of the world’s great cities shopping, culture hunting, holding hands, sharing long walks and kisses indulge in an intimate breakfast to fill the eyes and sate the appetites. Enjoy our special packages for someone or something special. XV Beacon. On Beacon Hill. Above it all. 1st on Conde Nast's list of 10 Top Hotels in Boston: Readers Choice Awards 2018. Retreat to this elegant landmark hotel in the heart of Boston, steps from shopping, entertainment and downtown. 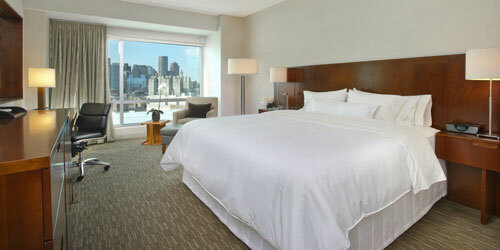 Set at the foot of Beacon Hill, the hotel offers 280 smoke-free rooms and ten suites with floor to ceiling windows, majestic skyline and river views, and multiple accessibility features. 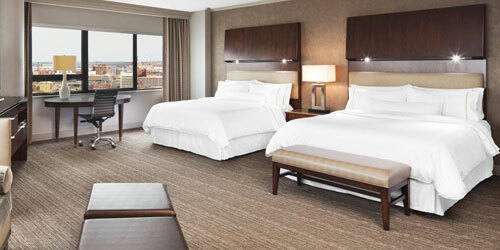 Enjoy luxurious bathrobes, imported bed linens, down comforters and environmentally-friendly body care products. Private bars, refrigerators, 24-hour in-room-dining, the fitness facility and business center provide additional fine touches while complimentary high speed internet access are available 24/7. 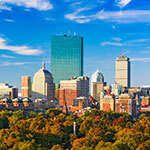 Savor unrivaled cuisine in five of Boston's best drinking and dining establishments on site. 6000 sq.ft of meeting space can accommodate 10-350 for your business or social functions. 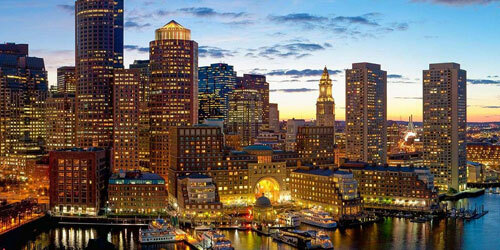 When visiting a distinctive city like Boston, why not enjoy some luxury? You'll find it at the Westin Copley Place. 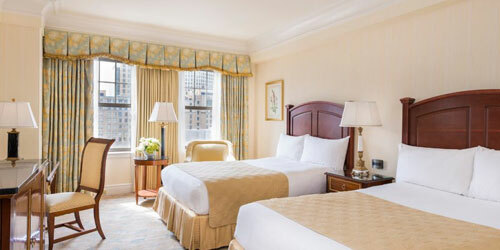 Every room features our plush Westin Heavenly Bed®, our invigorating Heavenly Bath®, high-speed Internet access, and views of the Back Bay's historic brownstones. 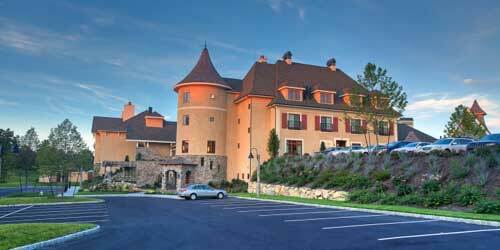 Dine at one of five hotel establishments. Our Fogo de Chão Brazilian Steakhouse is a culinary adventure. Gaucho chefs prepare 16 different cuts of beef, pork, lamb, and poultry, and portions are unlimited. Later relax in our indoor pool, or work out in our 24-hour fitness center. New Balance athletic shoes and gear are available for use during your stay. Our Grettacole Spa offers all the latest treatments, from massage and body waxing to deep cleansing and intensive hydrating treatment.